Melissa Balmain is a humorist, journalist, and teacher. 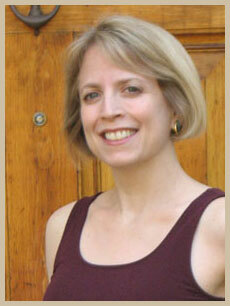 Since 2012 she has edited Light, the country's longest-running journal of light verse (founded in 1992 by John Mella). Balmain's poems have appeared or are forthcoming in The American Bystander, American Life in Poetry, Lighten Up Online, Literary Matters, Measure, Mezzo Cammin, The New Criterion, The New Verse News, Poetry Daily, The Spectator (UK), Verse Daily, The Washington Post, and many anthologies; her prose in The New Yorker, The New York Times, McSweeney’s, and elsewhere. A former columnist for Success magazine and other publications, she's the author of a memoir, Just Us: Adventures of a Mother and Daughter (Faber and Faber). 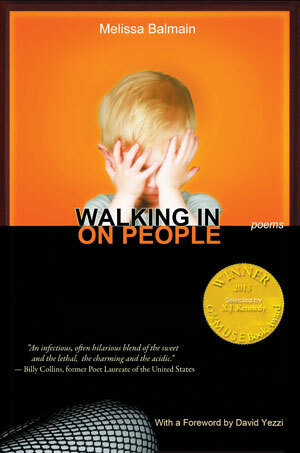 Balmain has won national journalism honors and been a finalist for the Donald Justice Poetry Prize, the Howard Nemerov Sonnet Award (twice), and the Richard Wilbur Poetry Award. She teaches at the University of Rochester and lives nearby with her husband and two children. Walking in on People, chosen by X.J. Kennedy for the Able Muse Book Award, is her first full-length poetry collection. Two more poetry collections are in the works.